Looking to experience the best in Portuguese cuisine, culture, local music and excitement? We know just the festival for all that and more! Vamos nos divertir! Channel your inner dancing girl emoji and let’s get down! 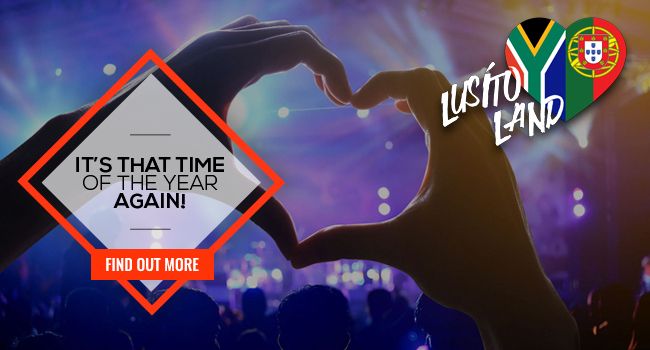 From 20 - 22 April and 26 - 28 April, Lusito Land Festival is back, and promises to be more thrilling than ever before. Enjoy funfair thrills, scrumptious Portuguese cuisine, non-stop entertainment and partake in a fun 5km charity walk in aid of the Lusito Association for the disabled, and loads more on offer. Grab your tickets from Computicket to make sure you’re not missing out on this family-friendly joy ride. All proceeds from the festival go to the Lusito Association for the disabled, so all your fun will be had for a good cause.